This is how I see the new monuments in Skopje. In a line of, first, paradoxically organized, and then immediately, psychotically structured social and political space. Economy is anyway out of the picture as, in this kitsch, it is all about memory and a death of history. To say psychosis for me means a madness that is engaging a lot of people, money and a complete erasure of Macedonian history and it is in the end a symptom of a neoliberal global capitalism. In a word this is a pure necropolitical measure (necro means death), a death of history through an over mythologization of memory that is a sign of a castrated public space of political thinking and intensified by an economic crisis. I will talk as well about three cases. The first is the protests by the self-organized refugees in Austria against the unbearable situation of refugees in the time of global capitalism in Europe. The second case is the so called Slovenian all-compassing uprising in Ljubljana and other Slovenia cities that brought together thousands of protesters on the streets asking for the resignation of the present Slovenian government and its prime minister in power and of the present corrupted political elite on power. Both cases deal with the question of the contemporary State and its status, state forms and prerogatives. These questions are as well connected to an art project developed through decades in Slovenia by the group IRWIN with the title NSK state in time project. 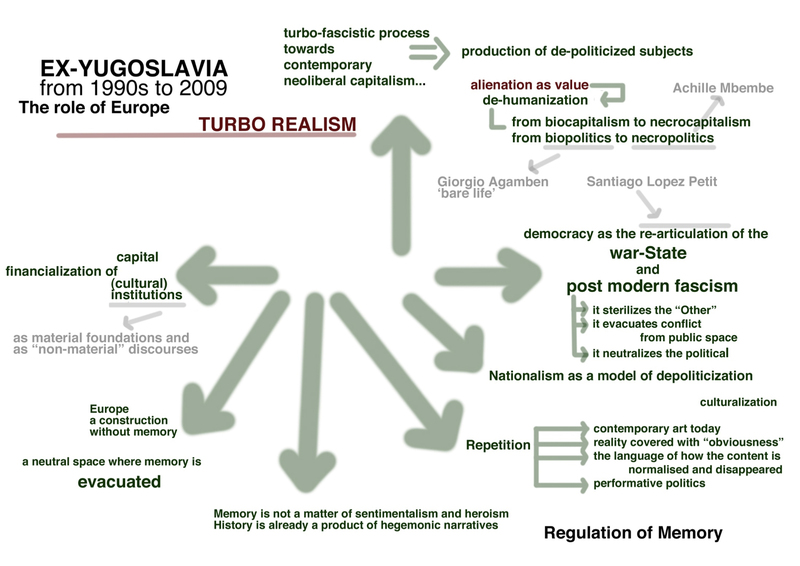 I depart from 2 diagrams that were elaborated into one of my lectures in Geneva (Switzerland) in 2011 where I talked on questions of memory, history and Europe in relation to ex-Yugoslavia. The diagrams were conceived by Giulia Cilla and Vana Kostayola. I re-used them in several situations and I expanded them, or the diagrams were re-elaborated in lectures throughout Europe, expanded, re-drawn by many outputs and thoughts. I will start with a diagram and will end with a diagram. Before my presentation at the conference I went to the Museum of the Macedonian struggle for statehood and independence, in short: Museum of the IMRO and museum of the victims of the communist regime (opened in 2011). As there we see the supplement of the public space over-monumentalization of Skopje/Macedonia. This museum is a fortified kitschy overtly nationalistic fabrication of Macedonian history. I liked the definition of this museum by a young Macedonian scholar, who says this is the museum of psychosis. This over monumentalization has paradoxical status, a function of erasure, evacuation of memory and history. As actually you cannot enter the museum space, but from the first moment on you have an over-voice, a live museum guide throughout the museum walk that corrects any possible way of thinking differently. It is impressive to see madness of erasure of history with its totalization: to control every single body, specifically the way of thinking, so this is not about communist terror but about a fascist comeback of the structure of the society that is one body with one mind and history. This passion is evident in interruptions, intervals, and discontinuities and most evident in evacuation, erasure of history, in its fully ideological form. 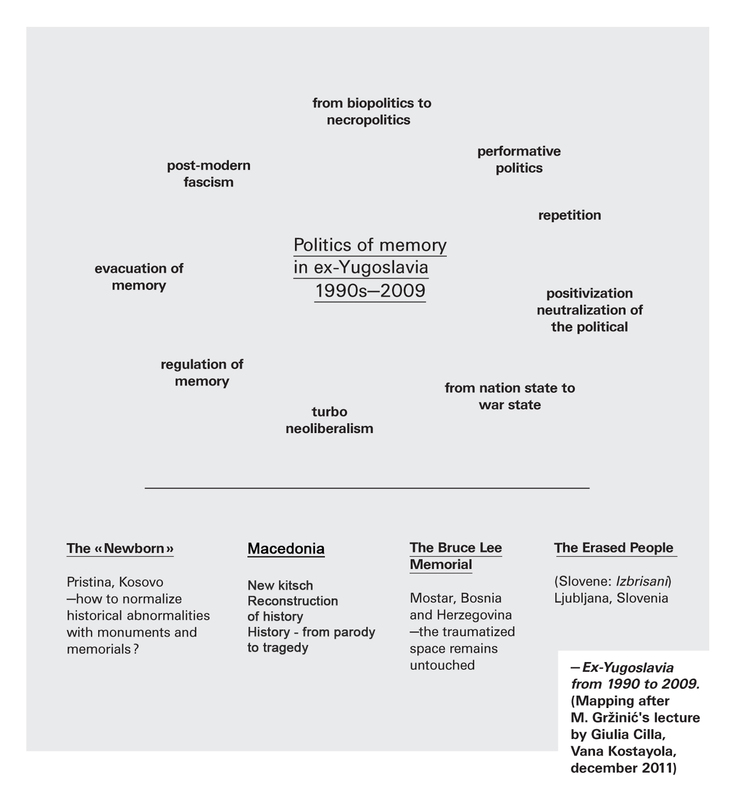 The diagram bears as its central title ex-Yugoslavia in the last 20 years with a focus on the regulation of memory. After the fall of the Berlin wall in 1989 the role of Western Europe is in the re/constitution of the former Eastern Europe as a defunct, concluded, buried story. This process takes the shape of TURBO REALISM. It presents from 1990 until today a turbo fascist process that goes from a transitional space of post socialism toward a neoliberal capitalism. I will call them not just post socialist states, as this is gone, immediately after the fall of the Berlin wall, in the first years in the 1990s, but turbo fascist states (Macedonia, Serbia, Croatia, Russia, and Slovenia). This turbo fascist reality of the former space of ex-Yugoslavia is to be connected with another again more general process that happened after the 2001 that the Spanish theoretician Santiago López Petit calls a change from nation-State to war-State. In fact this change means that the former Imperial capitalist colonial states (the so called first world Western European states and USA) transformed into war-states. At the same time the post socialist countries or neoliberal turbo fascist countries remained just nation-states without an international sovereignty (look at the story of Macedonia’s name and its frozen state status for a decade) but has a power to a control and systematically push terror as evacuation of history, etc., inside its border, that means only culturally, socially-institutionally, etc. Nationalism plays an important role but as an atavistic format of ideology. This process can be applied as well to what happened to the erased people in Slovenia (Slovene: izbrisani). In 1991, immediately after the declaration of independence by Slovenia, the approximately 200,000 residents of Slovenia who had citizenship from other republics of former Yugoslavia were granted the possibility to obtain, through an application, the citizenship of the new independent state. For those who would have chosen not to avail themselves of this possibility, the law required to register as “foreigner” (a term denoting legal permanent residents without citizenship). Approximately 170,000 individuals presented the application, obtaining citizenship before the national elections in 1992. Some thousands chose the second option. The majority of those who, contrary to legal provisions, did not register themselves as “foreigners” were removed from the registry of Permanent Residence in February 1992, losing all social, civil, and political rights. This action was of purely administrative nature (and thus excluded any possibility of appeal) and struck, according to unofficial estimates, around 30,000 to 18,000 people, including some who had actually left the country, while others were simply unaware of the existence of the law that required them to confirm their status through a new application. In 1999, the Constitutional Court declared the act of “erasing” illegal and unconstitutional, and annulled its legal consequences. Until today though the European court for human rights ruled in favor of the Erased people the situation is not solved. This process of turbo neoliberal fascism coincides with the general situation in neoliberal global capitalism as well and its production of an evacuated, privatized space that resulted in a process of de-politicization. The implications are at least twofold: for the mode of life and for the form of State. 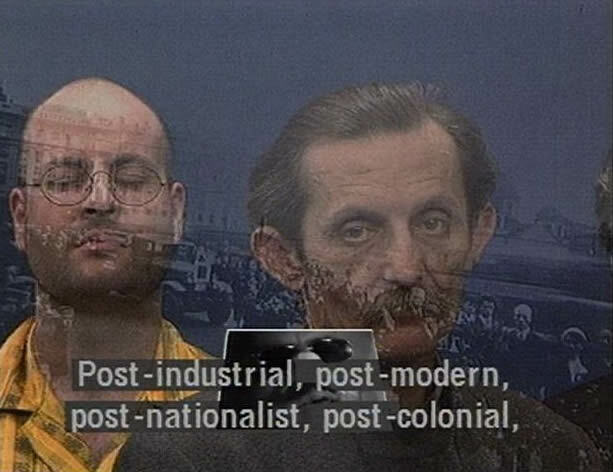 The mode of life envisioned by Michel Foucault and named biopolitics in the 1970s changed into necropolitics, a term coined and elaborated by Achille Mbembe in 2003 in order to capture a mode of life in Africa after the 2001 that changed by neoliberal global capitalism. With necropolitics we can precisely define the transformation of regulation of life within extreme conditions produced by capital. Necropolitics is a coinage in-between necro (DEATH) and politics. Necropolitics regulates life through the perspective of death, therefore transforming life in a mere existence bellow every life minimum. To understand the difference I can state that Foucault’s biopolitics can be described in an axiomatic way as “make live and let die.” It presented a situation of regulation of the life in the so called First capitalist world and welfare states, but abandoning or delegating death in the so called other worlds of the 1970s, the second and the third world. With the entrance of Global capitalism on the world scene in 2001 and with fall of the Twin Towers in New York we could see an intensified neoliberal process of privatization, deregulation and abandonment started to be implemented onto the First capitalist world as well. This came clearly out with the crisis in 2008. This brought another management of the mode of life that Achille Mbembe named necropolitics in order to elaborate on the capital profit in the global world that includes the involvement of the war machines (Iraq, Afghanistan, etc.). I defined necropolitics as “let live and make die.” These two modes of life present a brutal difference in managing life and death, in biopolitics life is controlled but for the citizens of the sovereign first world capitalist countries it is about providing a good life, but today what is at the hand is a pure abandonment of these structures (let live) and at the same time death is managed, used and capitalized by the war machine. Today in global neoliberal capitalism the biopolitical and the necropolitical mode of life reproduces one near the other transforming many of the former biopolitical sovereign states into necropolitical ones. Why did this happen? Capitalism is a system that lives from exploitation, dispossession and discrimination that is not at all cultural (though affects culture) but is economic and therefore social and political. Santiago López Petit stated that what characterizes neoliberal global capitalism is the change from a nation-State to war-State. 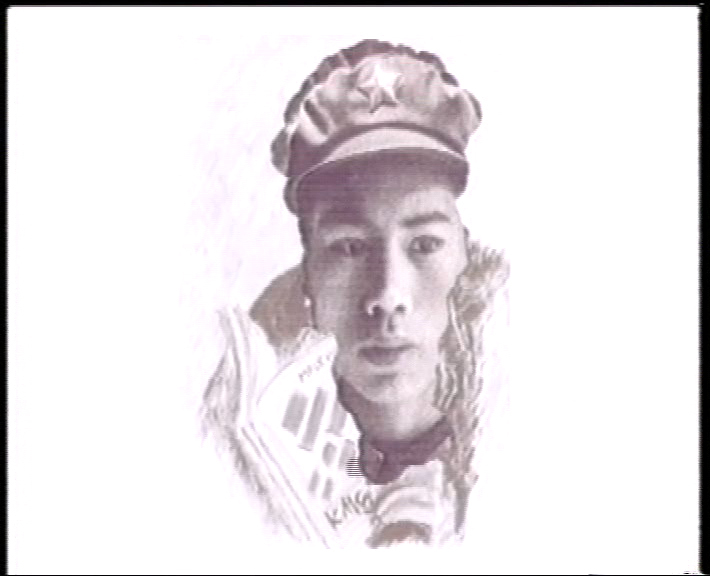 In fact this change means that the former Imperial capitalist colonial states transformed into war-states that exists at the same time as transformation, or better to say fragmentation of all its social and public fields. Petit calls this fragmentation postmodern fascism. The latter, functions with the sterilization of the other, evacuation of the conflict and fragmentation. While turbo fascism is reserved for those regions coming out of the war situation in the recent history (war in the Balkans, massive deregulation of the social, direct and brutal evacuation of history, erasure of thousands of people end etc.). It is fascism as explosion of fast processes of social deregulation, re-writing histories and etc. Postmodern fascism presents a process of implosion, a pastoral mechanism of fragmentation, almost invisible processes of ferocious privatization, all done under formal system of judicial regulation and administration. The systems, necropolitics and biopolitics, work one near the other. The passage from nation-state to war-state has as well an important function in global capitalism. It is the answer to what happened after the fall of the Berlin wall (1989) that resulted with the PROLIFERATION of new states. This was only possible because of the simultaneous DISINTEGRATION of the Westphalian principle established in 1684 of the sovereignty of nation-States. The uneasiness provoked by the proliferation of new states therefore was not solved as in the past with world powers’ direct and brutal force of control. Rather, it was resolved through an intensified process of disintegration of the Westphalian principle of nation-States’ sovereignty and the transformation of the imperial nation-States into war-States. It is this logic that enabled big international powers to succeed in maintaining ORDER in the mass of new states, “reborn” with the fall of the Berlin wall. The war-state especially in the first capitalist world (USA) and former western European context is here to maintain the illusion of society, the biopolitical mode of life, while the necropolitical is pressing on them and is methastasing inside the neoliberal capitalist biopolitical system. This measure means that from its biopolitical feature (from the politics of taking care of the life of the population, though systematically controlling it) the contemporary state changes into a necropolitical regime (into a politics of the state which is only taking part in the war of transnational capital abandoning the citizens to find a way of their own how to survive). In this change from the nation-State to a war-State we have as well the so-called “missing” link that is the racial-State. It is there, in fact, but not pronounced and named clearly! This passage from nation-State to the war-State goes through a racial-State that has the racism at its core. This presents a new condition for re-thinking memory and history. 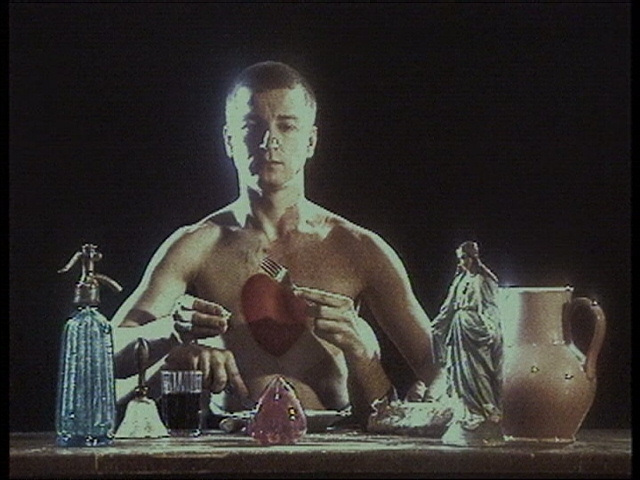 The outcome is that in the 1970s the memory of biopolitics was perceived as an intensified anthropological biopolitical mechanism while in the time of necrocapitalism it is history that is completely evacuated. 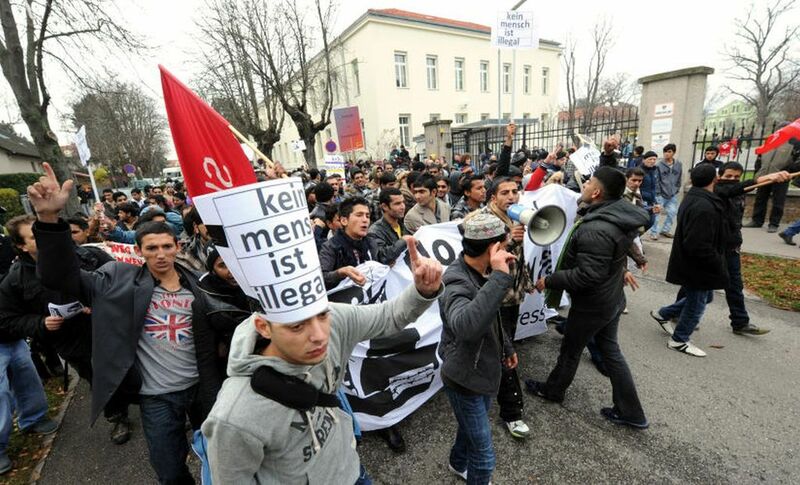 The refugees’ protest has been taking place in Austria since November 2012. At the center of this protest lies the formation of the Refugee Protest Camp in Vienna that started with a ten hour march of approximately 100 refugees along with their supporters from the refuge reception center in Traiskirchen (around 20 km from Vienna) to the Vienna city center (November 24, 2012). The march resulted in erecting a Refugee Protest Camp with tents, cuisine and activities in the Sigmund Freud Park (in front of the Votive Church) in the center of Vienna. This camp was cleared by the police on December 28, 2012. After negotiating with the church personnel of the Votive Church the refugees entered the church itself. They decided to “camp” in the freezing cold church building (while at the same time being monitored/controlled by Caritas, a charity Catholic Church relief organization). As nothing what was at that point offered to them, no answer by the authorities regarding their demands, a group of refugees went on a hunger strike in December 2012. The Refugee Protest Camp in Vienna has been supported by different NGOs all this time and by many activists and students, a number of them coming from The Academy of Fine Arts in Vienna. The hunger strike ended after a month (in January 2013) and the refugees were promised by the archbishop himself that they can still stay in the church and that they will not be evacuated by the police. On February 1, 2013, the Refugees in the Votive Church in Vienna announced the continuation of their hunger strike after a break of 10 days, since the government had not made any effort to meet the demands to find a solution and to legalize their status. On February 5, 2013 one of the refugees protesting with hunger strike in the Votive Church was deported to Hungary. Presumably he will be expelled from EU or worse, deported back to Pakistan. On February 16, 2013 around 2.500 people have marched in solidarity with the refugees in Vienna and Austria and in other cities in the EU. A day after the refugees in the Votive Church decided to stop the hunger strike for the second time in order to re-think what should be done. It is possible to state that at the present moment the historical self-organized movement of refugees in Vienna and more generally speaking in Europe – that changes daily, more or less, unexpectedly, as the refugees are hostages of the European “sovereign” states and the Fortress European Union (EU) and its institutional and NGO’s policy – is unbearable (all seems “open” and because of this scarily closed, as it is the impotent EU policy!). Even more, using Achille Mbembe words, what is becoming clear is that the EU’s [Europe], “good conscience […] has always been not wanting to be responsible for anything, guilty of nothing.” The international human rights regimes developed from the World War II and on, in Western Europe and globally reached a dead end that has to be re-thought (and radically changed) politically, economically and ideologically, if the lives of those at stake (the refugees) will not just be left to the mercy of a regime of imprisonment, exclusion, marginalization and death, that is a brand global turbo neoliberal necro-capitalism. What becomes clear is that the condition of life of and the granted rights to refugees and asylum seekers in the welfare states of the Western European body of countries have changed radically; the refugees have been systematically and for a long time pushed in a situation of impoverishment, deprivation, seclusion, deterioration of life conditions and a radical diminishing status or better to say a process of racial, discriminatory diminishing and depoliticizing of the concept and of the status of human rights. The refugees have been caught for at least a decade (starting slowly but steadily with the fall of the Berlin wall in 1989) in a situation of a systematic abandonment, in a long process of permanent deterioration of conditions of living and staying in the EU. This process was invisible (it was covered up) to the so-called civic bio-political nation-state body in the “former” (as they like to call themselves these days) Western European countries. The refugees did not ask for “some” rights that would only then allow them to enter and maybe participate in the space of politics and the social. They were not obedient to an old modernist way of perceiving politics, waiting for their place in the political arena, for a place reserved only for those who are seen as part of the political space, for example the nation-state citizens with their form-of-good-life (“good” life that deteriorates for them as well in the time of crisis). The question of human rights started to visibly disintegrate and deteriorate after the fall of the Berlin wall in 1989. After the fall of the Berlin wall in 1989, the processes of a turbo neoliberal global capitalism that came after the transition from post-socialism to capitalism in the former East of Europe along with the economic crisis in the last decade strongly deteriorate the refugees and asylum policy in (western) Europe that has been transformed into the EU. The crisis in Europe came after a long process that had already presented stagnation. It is said that the restrictions imposed in the EU today are to protect the citizens of the EU, especially in the former Western Europe in order not to lose their standards. But we know that wages have not been raised for a decade, protests in the public spaces of European democracy are suppressed by police and military forces (supported by laws coming from the colonial times, as in France). Inside the bio-politics of the West, citizens are strongly differentiated in terms of class, gender and race, differentiations, discriminations, exploitations that multiply globally. This is not just a process of diversity, as it is constantly presented in the public. On the contrary, the once proletariat that changed into a precariat and sees itself more and more in the state of “The Wretched of the Earth” that was the perspective of the world seen from the side of the colonized, as formulated in Frantz Fanon’s most famous work, written during the Algerian struggle for decolonization in the 1960s, shows that Europe or the EU’s biopolitics live side by side or are constantly reproduced by and through necropolitics (necro is equal to death). The refugees’ condition of life in the EU is in such a situation of radical abandonment getting the form and content of a pure necropolitical condition. On the other side, the political refugees are today more and more economic refugees and are coming to Europe from parts of the world that were strongly exploited by colonialism and are still part of a ferocious expropriation by a neocolonial policy and subjugated to the contemporary colonial matrix of power. In the past 20 years, the mass media and the general public DID NOT elaborate a detailed analysis of the processes of robbery, deprivation of rights, discrimination and dispossession. Slovenia is not specific, but rather exemplary model of all possible deviations of neoliberal global capitalism’s necropolitics. As I have elaborated we don’t have only a transformation of the nation-state, but a development of a new form of state that is the war-state. What is further on necessary is to put racism as a central category within the parameters of the abstract state. This is not about making denunciations of racism and then saying that the repressive apparatuses of the state exacerbated the regulations against migrants and youth of the second and third generations (though the consequences of the war against terror launched in 2001 imposed a radicalised discrimination procedure against those identified as Muslims). It is to acknowledge that in Europe we have a fully constructed entity of a racial-state and global capitalism. Our task is therefore to raise the question of what kind of political, economic, social and cultural (as well as discursive) dispositions have made the racial coordinates of the nation-state and the racial epistemic coordinates of contemporary neoliberal global capitalist governance so legible. What has changed, perhaps, is not only what is known about racist politics, but how normalised they have become in Slovenia and Europe today. The un-recognised, but palpably visible, though denied, racist history is then normalised within other topics of security and protection policy of the EU, that is nothing else in the end than the fortress of Europe with its racist epistemic context. In such a situation it is necessary to incorporate in every art and cultural project an analysis that deals with the conceptualisation of the three formations: nation-state, war-state and racial-state. As I have tried to show in the case of Slovenia, although the state is only twenty years old, racism is at the core of its organisation. It is employed in exclusions, violations of basic human rights and discrimination together with exploitations – think of the violated rights of the erased people, the invisible workers of the world, and the exploitation of migrants and other precarious workers. Racism is also central in the way Slovenia acquired its national history by silencing histories of art and culture made by migrant intellectuals, by gay and lesbian groups and alternative movements. This should be the next focus of the NSK State in Time project that has the knowledge, history and potential to activate the positions, elements and forms that will question the racial-state being the central link in the shift from nation-state to war-state. Cf. Marina Gržinić, »What kind of memory does Europe construct, What kind of memory does Europe impose?«, in UNCOVERED NICOSIA INTERNATIONAL AIRPORT, Cyprus, 2012-2013, BOOK 1, editors, Basak Senova and Pavlina Paraskevaidou, Nicosia, 2011. Achille Mbembe, Sortir de la Grande Nuit. Essai sur l’Afrique décolonisée [‘We must get out of the great night.’ Essay on decolonized Africa], Découverte, Paris, 2010, p. 171.